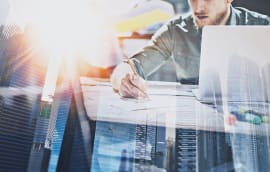 In the third in a series of articles Liam Southwood, director of BIM services at IT consultant and software developer NittyGritty, deals with software, acronyms and who does what in the BIM process. In the previous two articles I wrote about taking your first steps into BIM delivery and then capitalising on that initial investment. For most designers, just mastering efficient modelling is a big challenge, then, adding meaningful metadata to the modelled objects to make “BIM” is just the first level of success on this journey. The reality is that nothing is ever simple or linear and it would be nice if we had the luxury of walking before we ran. Most of us have to deal with unreasonable expectations, programmes and budgets as part of our daily professional lives so it’s likely that you might not even have your house in order on the above before being asked to deliver…what next? Wouldn’t it be great if there were a simple mass-modelling tool which could be used to generate quick, easy, BIM-ready options at the concept stage? I had high hopes when Trimble purchased Sketchup from Google – if it could have made it into an entry-level BIM tool it might have cleaned up. Unfortunately, this hasn’t materialised. Nemetschek moved early and decisively to occupy this ground with Vectorworks Architect and Autodesk is making up for lost time with Formit, which will talk directly to Revit. Whichever tool you use, if you could leverage that early optioneering work directly into your BIM, without doing it twice, you’ll be on to a winner. Other early-stage wins can be gained from the commissioning of appropriate quality point cloud surveys and models derived from these, as well as using GIS data for site and Infrastructure analysis. There’s plenty of information elsewhere on BIM+ and on the http://bim-level2.org/en/ official site to look at. The main point is that if you are involved in any sort of work that has public funding, someone, at some point, is going to insist that your project must be Level 2. One of the biggest failings to date is a lack of understanding at the client and commissioning level as to what this actually means. 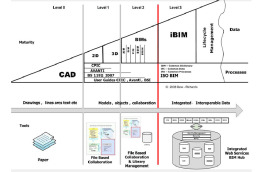 The other problem with Level 2 BIM is what I call DBA – Death by Acronym. Sadly, to speak knowledgably on the matter, you’ll need to know your EIR from your PIM, AIM, CDE and BEP. Having said all that, there’s a huge opportunity here for design teams to take the lead and help their clients to understand what it is they are trying to achieve and to set realistic goals along the way. 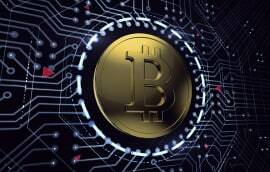 In the early, pre-contract phase of a project, the lead consultant (usually the architect) may be best placed to take on responsibility for coordination of the BIM being produced by the team. It is important to fully understand and document what responsibility is being assumed here as it is an opportunity to provide separate professional service beyond that of lead consultant. Under the government mandate, these documents should be appended to appointments via the CIC BIM Protocol and should safeguard all parties from contractual misunderstandings, mission creep and the possibility of professional over-reach. A BIM coordinator might manage the production of documents for this process, understand if each party is meeting their BIM delivery obligations, monitor the uploading of files to the CDE (Common Data Environment) as agreed, and report back to the client on progress. They would not be responsible for coordination, either of each party’s individual models, or of the final delivered design. This role might also overlap with that of the ‘Information Manager’ – a subject of heated debate in the Twittersphere. In an ideal world, responsibility for BIM coordination will transfer to the main contractor through the construction phase. Nittygritty strongly recommends that our architect clients avoid any team BIM coordination responsibility post RIBA stage 4. It goes without saying that all information authors should be ultimately responsible for coordination of their own data with the rest of the team. 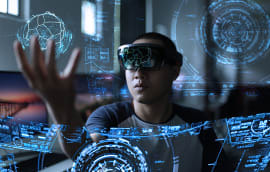 Validation of the real against the virtual, and documenting and snagging the build digitally are processes which are available to construction stakeholders today. Tablets can be taken to site to produce digital markup and photos, and the build can even be tracked and compared against design intent via laser point cloud scans. These emerging technologies can help deliver more value from the BIM, post design. I’ve written a lot about Revit as the authoring tool for all of this. That is because it is the dominant software tool in the market. However, just using Revit does not BIM make. Being platform or vendor agnostic was one of the founding principles of the government mandate. This is very important when delivering data for use beyond the design and construction phases. 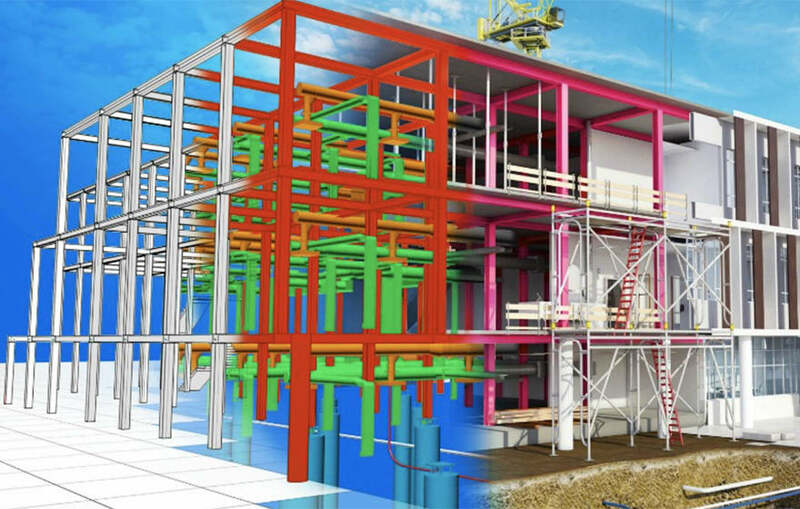 IFC (Industry Foundation Class) and COBie (Construction Operations Building information exchange) are neutral formats for exchanging BIM information across software platforms. 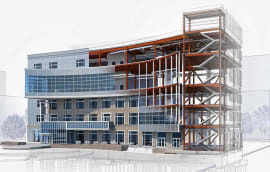 Expertise in mapping and validating proprietary, internal, classification of objects within software like Autodesk Revit to OpenBIM formats like IFC will become more and more important as the process moves from design, to construction, to building operations, facilities management and use in future smart cities.